Civil Society Charity Technology Conference - A Big Thank you! Civil Society Charity Technology Conference – A Big Thank you! 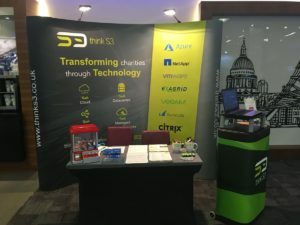 Thank you to everyone who took the time to come and see us on our stand at the Charity Technology Conference – we continue to be inspired by the work that is being done by every charity that we speak to, and are excited by the potential that the cloud and emerging technologies offer both for the future of fundraising and front-line service delivery in the not for profit sector. Transforming charities through technology is a key motivation for the work that we do, and we use our personal, flexible service, proven results and most importantly our people and personalities to bring this to the charities we work with. Interested to see how we might be able to help? Click here to see some of the charities we already work with, then get in touch to see how can help you.